Surlingham Church Marsh has lovely walks on the banks of the Rive Yare and you can buy local honey on your way round. It's also a daffodil-growing area. 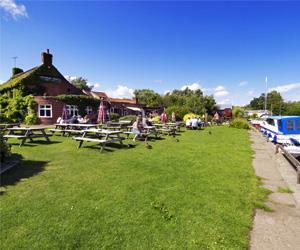 Surlingham Ferry only survives in the pub name but is a reminder that the Broads once had many ferries operating.